For those who missed it, DriveWorks 14 had a little hidden gem for copying out your DriveWorks groups or projects. They were only a Beta version in the 14 release but have officially been implemented in DriveWorks 15! 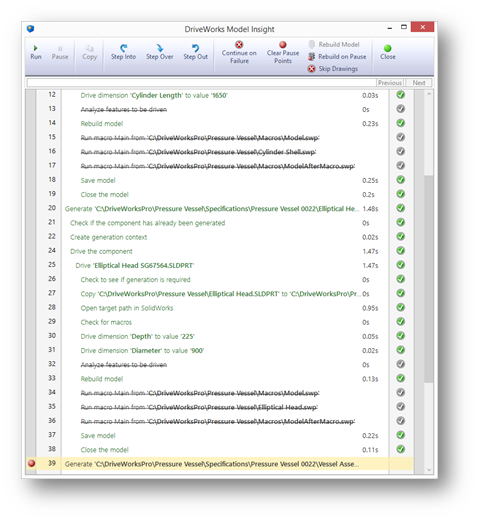 These tools can be found in the DriveWorks Data Management 15 application under the “DriveWorks Tasks” section after logging into the group. The copy group functionality allows a user to copy out all of the group and project information from any existing group. It will copy things like Security Data, Tables, Projects, Captured and Released models and much more. The information can be imported into an existing group or be used to create a new group. For more information click here. 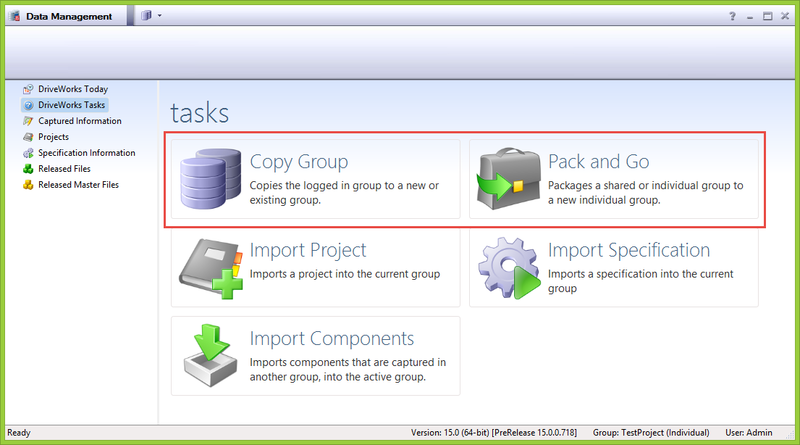 Pack and Go actually performs the same actions as Copy Group, but instead of placing all of the settings into an existing or new group, it saves them as a .drivepkg extension similar to a zip file. This is great if you need to make a quick backup of your data without having to pick and click to find all of the necessary files to copy. For more information click here. Any thoughts or questions? Leave a comment below!